Regenerative Medicine for Different Types of Arthritis - Piedmont Physical Medicine & Rehabilitation, P.A. There are over 100 different types of arthritis, from rheumatoid to osteoarthritis, to psoriatic, and gout. The two most prevalent types are rheumatoid and osteoarthritis. Arthritis is a broad term for ailments that affect joints and the tissues that surround them. Most types of arthritis either fall into one of two categories: degenerative arthritis (like osteoarthritis) or inflammatory arthritis (such as rheumatoid arthritis). These typically occur in areas such as the hips, knees, ankles, shoulders, elbows and wrists. Osteoarthritis can be caused by aging, injury, or it can be a result of being overweight. This type is probably the most common and is usually quite painful. It can cause swelling of the joints leading to pain that occurs during the simplest tasks. Cartilage is a substance that helps protect the bones in joints and acts as a padding or shock absorber. When the cartilage starts to break down due to stress on the joint, the bones begin to rub together. This causes joint pain, stiffness, swelling, and makes it difficult to perform chores, work or other activities. This type of arthritis is an autoimmune disease that can affect the joints in the ankles, feet, knees, thumbs, fingers, wrists, shoulders, and elbows. 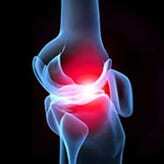 Rheumatoid arthritis is not caused by injury or aging like osteoarthritis. 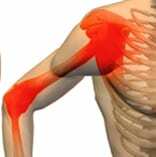 It is caused by enzymes produced by the body that attacks and destroys joint linings. This arthritis causes swelling, pain, and stiffness in the joints and can also cause flu-like symptoms. Psoriatic arthritis typically occurs as a secondary disorder in people with psoriasis of the skin. It most frequently affects joints in the hands and feet as a result of skin rash. Often the fingernails appear discolored or pitted in someone with psoriatic arthritis. Although many people have only one joint that is affected by psoriatic arthritis, it can work on more than one. 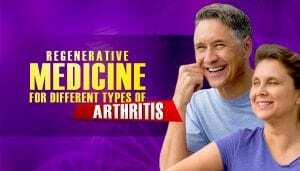 How can Regenerative Medicine Help these Types of Arthritis? Regenerative medicine treatments include prolotherapy, stem cell therapy, and platelet-rich plasma therapy, which have all shown to be beneficial for treating different types of arthritis. Stem cell therapy, in particular, has demonstrated to have a great impact in resolving pain symptoms from arthritis. Stem cell therapy treatment is based on harvesting stem cells from one of three places – either bone marrow or the adipose (fat) cells from the patient’s body, or placental derived from a donor. The stem cells are injected into the affected area, such as the knee so that they can regenerate and create new cartilage and tissue to combat the effects of osteoarthritis. Stem cells are considered “blank” cells because they can change and develop into the type of cell in the area where they are injected. While the greatest impact of stem cells on arthritis is of osteoarthritis they can help those afflicted with rheumatoid arthritis by delivering therapeutic proteins that help relieve joint pain caused by inflammation. Ultimately, the treatments aim to promote regeneration and reverse the effects caused by rheumatoid and psoriatic arthritis. Preferably, regenerative medicine should be employed earlier rather than later when treating arthritis. When performed early, it can considerably reverse many types of joint pain, impairments, and symptoms. The rehabilitation time is far less and the risk of side effects is very low. Performing this treatment as soon as possible may also increase your chances of avoiding surgery for arthritis. 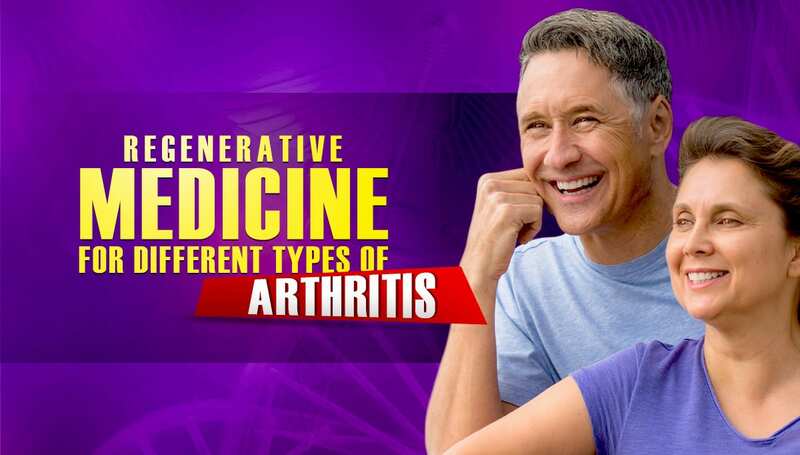 If you suffer from arthritis and would like to know if regenerative medicine treatments can help you, please call our office at 1-864-235-1834. We will be happy to answer any concerns or questions you have!